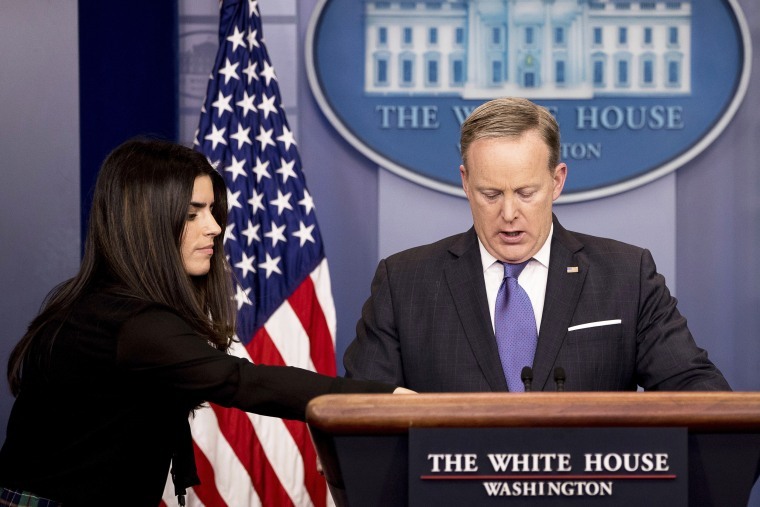 Spicer, who is Roman Catholic, had been left off a list of White House officials who had the chance to meet with Pope Francis in May when Trump visited the Vatican. Vatican spokesman Greg Burke confirms the former White House press secretary attended a meeting with Pope Francis on Sunday. The audience was part of an annual meeting of the International Catholic Legislators Network, which gathers lawmakers from across the world. Vatican Radio posted photographs of the event on its Facebook page. One photo shows Spicer in the front row, taking photos of the Pope with his phone.